Continuing the publishing of old GCE papers, this link will take you to the 1969 French 'A' level paper - https://flic.kr/s/aHskCzU2st. As usual, click on the individual pages to expand. Continuing the publishing of old GCE papers, this link will take you to the 1959 Maths 'O' level paper - https://flic.kr/s/aHskyug7Er. As usual, click on the individual pages to expand. As we approach the end of the traditional GCE examination season, I thought it would be appropriate to reproduce a number of examination papers from earlier years. These were published on the original website a few years ago, but were lost when we moved to the new site in 2013. I have added the papers to the OBA Flickr site as it is easier to expand the papers to a legible size. This link will take you to the 1962 History 'O' Level paper (now GCSE) - https://flic.kr/s/aHskytcSE5. Click on the individual pages to expand. Marc Stewart has responded to the news of Brian Tyler's death. To see the original article and Marc's response, click here. Year 12 Work Placements required! "I have asked our current year 12 students to arrange a work shadowing placement for themselves for the week of 27th June - 1st July as experience of the work place is vital as they approach the end of their school education. A number of our students are struggling to find places this year as firms are often unable to have a student with them for a week. Could I ask that you forward this message to your members and ask them if they (or their friends and family) might be able to offer a year 12 student a placement. Ted Hobday has responded to the news of Brian Tyler's death. To see the original article and Ted's response, click here. 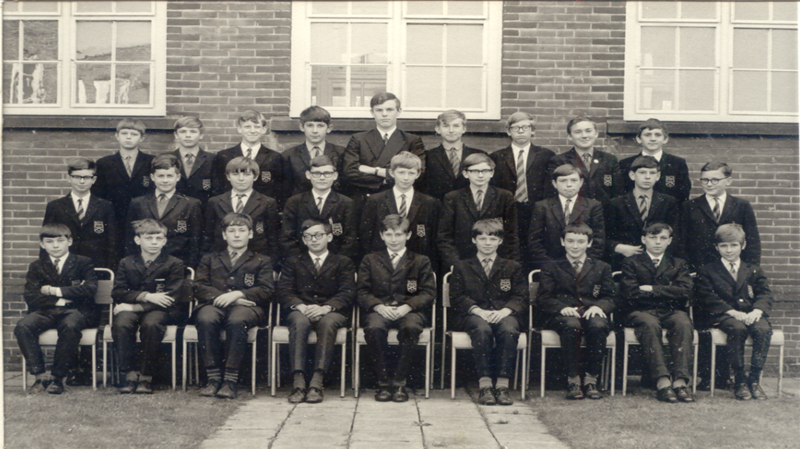 Old Bordenian Bob Wiberg sent in this photo of Form 3A from 1967 / 1968. We are sorry to hear that Brian Tyler passed away peacefully on 24 April, 2016, aged 86. The funeral service took place on Tuesday 10 May at 1pm, at the Garden of England Crematorium, Bobbing. Peter Lusted, OBA vice-President, commented "I cannot claim to be one of Brian's contemporaries, but first met him when I started playing for the Old Boys Football team, aged 17 in 1968. Brian was the "old man" playing wide on the left side. It soon became clear that this "old man" was a player of some quality and could certainly teach the young Old Boys a thing or two. I subsequently learnt that he had played for Portsmouth. Brian was one of life's and football's gentlemen and it was always good to see him at Old Boys' Dinners and have a chat. A sad loss indeed." Recently a new book has been published which will be of interest to Old Bordenians. Written by Sally Jenkins, daughter of Old Bordenian Bob Jenkins and dedicated to his memory, it is called Wartime Heroes of Borden Grammar School Remembered. It comprises around 250 pages, including just over 40 pages of School history from 1878 onwards. The bulk of the Book, however, is devoted to a collection of biographical details of over 60 of the 90 or so Old Boys killed on active service in WW1 and WW2 - a poignant reminder of the debt of gratitude we owe to so many young men who gave their lives.